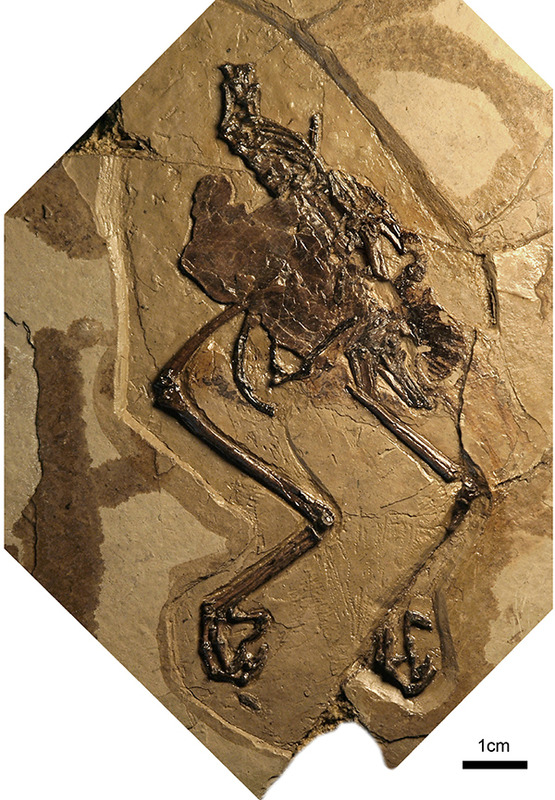 The new fossil is incredibly well preserved, including the remains of an egg inside its abdomen (Fig. 1). 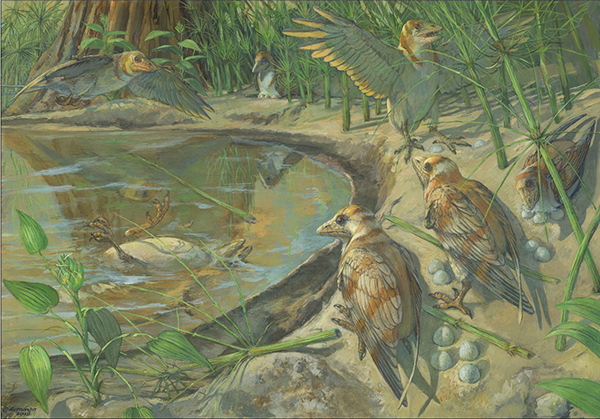 Because the specimen is crushed flat, it was only after a small fragment was extracted and analyzed under the microscope that the team realized that the unusual tissue was an egg. Scanning electron microscopy revealed that the cuticle (the outer most protective layer of the eggshell) was made up of very small spherules of minerals. This type of cuticle morphology would be expected for birds that partially burry their eggs, as it has already been proposed to be the case forenantiornithines (Fig. 2). Finding this morphology in Avimaia alsosupports the hypothesis that a cuticle with protective spherules represents the ancestral condition for avian eggs.